Arizona State University and Conservation International are working together to solve it. On Oct. 17–18, ASU and Conservation International unveiled a new tool designed to help decision-makers understand the type and extent of land degradation in a given geographical area and the costs and benefits associated with specific policy interventions. This tool was designed by the Decision Theater and visualized across their immersive, seven-screen environment. For several months, the software developers and program managers at Decision Theater worked hand-in-hand with Conservation International experts to design and build this tool. The interactive data visualization integrates information derived from Trends.Earth, an existing tool funded by the Global Environmental Facility and already used by 146 countries to analyze land changes. The Decision Theater convenes decision-makers in a collaborative, visually immersive, information-rich environment. The objective is to create better, more informed decisions involving complex problems. They model, simulate and visualize data from disparate sources to provide a complete vision of a problem and the system surrounding that problem. This tool was presented before a collection of Conservation International board members, industry leaders and philanthropists at the ASU Barrett and O’Connor Center in Washington, D.C. An ASU-hosted reception immediately followed. The United Nations Convention to Combat Desertification — to which 196 countries are signatories — is committed to achieving land degradation neutrality, or stable or improved land health, by 2030, a goal that requires a combination of avoiding and reducing land degradation and restoring degraded lands. ASU and CI will continue to work together to explore suitability and applications of the Trends.Earth and Decision Theater tool to support countries in achieving this target. ASU has partnered with Conservation International since 2016 to make measurable advances on conservation and to train the next generation of conservation leaders. For more questions on the partnership, please contact Amy Scoville-Weaver. A screenshot from the seven-screen tool. 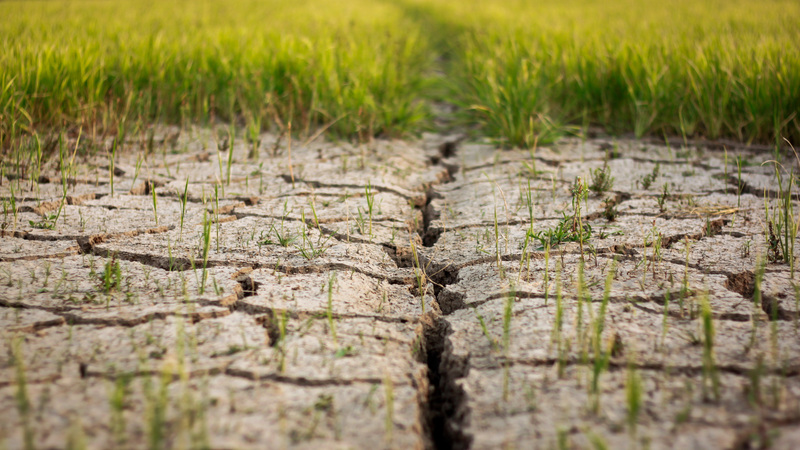 The tool enables decision-makers to understand the kind and extent of land degradation in a geographical area and the costs and benefits associated with specific policy solutions. Alex Zvoleff of Conservation International demonstrates the new interactive tool jointly developed by ASU and Conservation International to display and contextualize land degradation in a given area.